In executive search, candidate finalists start to resemble one another. They all are incredibly accomplished. They all have stellar reputations. All should have a track record of outperforming their peers. Everything else being equal, candidate fit ends up being the determining factor — how well the candidate fits in and how well the candidate clicks with the senior leadership. At the end of the day, if you are a CEO, you must “find your person”. Finding your person is not about cultural fit. From where I sit as the head of the retained search firm The Good Search, cultural fit sets the bar too low. As the CEO or another C-suite executive, you deserve more than someone who forges a connection with your company. You deserve someone who forges a real connection with you. Steve Wozniak was Steve Jobs’ person. Steve Ballmer was Bill Gates’ person. Finding your person is about finding an executive who shares your vision and always has your back. It’s about unshakable trust. It is also about finding someone who is smart and capable enough to challenge you to make you better than we would have been had you not found your person. 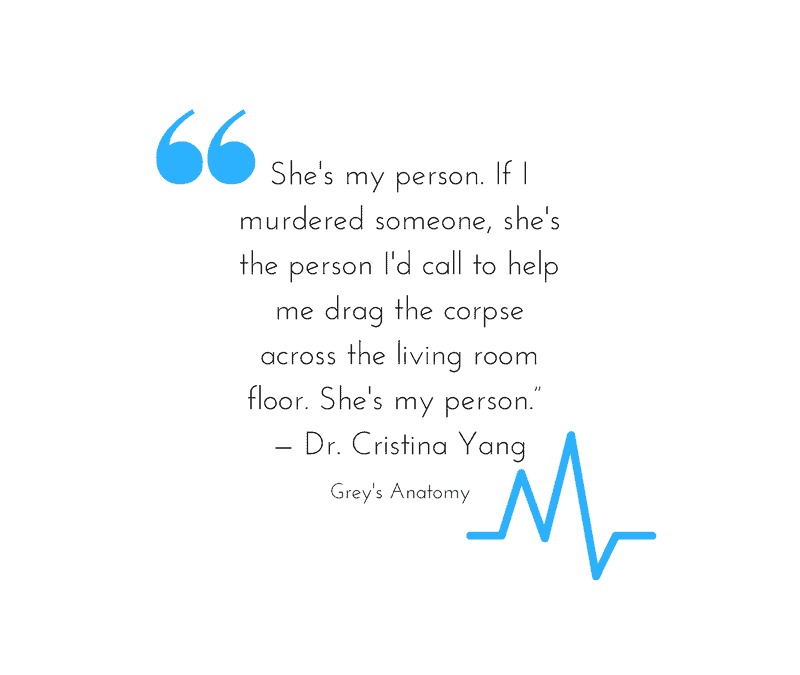 The television series (and my guilty pleasure) Grey’s Anatomy made “You are my person” a refrain. 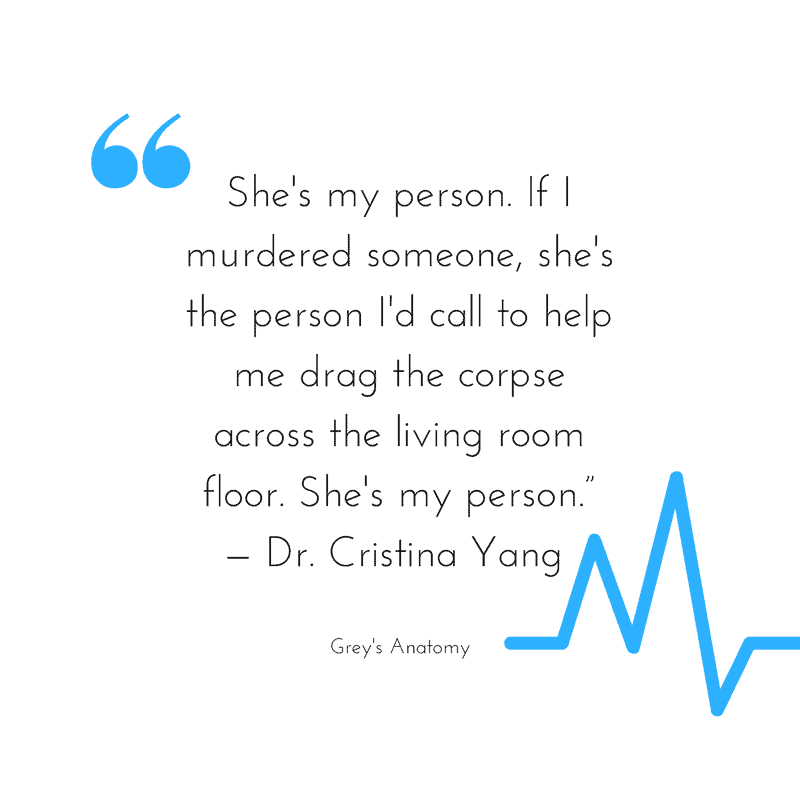 It is used repeatedly throughout the series to describe the deep professional and personal friendship of two women surgeons Meredith Grey and Cristina Yang. It starts when Cristina lists Meredith as the person to call in case of an emergency. It evolves to mean so much more. Your person is someone who gets you in a business context. A trusted partner in the C-Suite. An executive wingman, The yin to your Cristina Yang. As she points out in the final scene before exiting the series, your person makes us brave. When you start thinking about this, the person could be a lawyer or outside counsel or it could be strategy consultant from BCG — someone with prior relationship with a CEO in the advisory sense where there has been a process of challenging the CEO. It makes it safer. The consultant can tell the boss things no one can tell them from the inside. Ultimately, your person is a brilliant truth-teller whose insights help you and your organization achieve greatness. But it is the partnership between the two that is what really matters. Apple lost its way shortly after the Woz left. Ballmer did not accomplish all that he sought to do after Gates exited. On those rare occasions that you do find your person, the sum is always greater than the parts. If you enjoyed our post, please show the love and share it with your friends by clicking the buttons below. It makes it easier for others to find the post.